Hallelujah! Another ecommerce holiday season is coming: Easter. It may not boast the same scale of consumer spending as Christmas, but there is likely to be a soar in demand for seasonal products. A great deal of business growth comes about during seasonal shopping peaks, such as Christmas or Valentine’s Day. In the run-up to holidays, the world usually slows down, but consumption goes up. For consumers, shopping online is becoming a more and more convenient and popular option. For online sellers, it is good news. For many Christians, Easter is a religious event commemorating the death and resurrection of Jesus. For others, it is a holiday with bunnies and chocolate eggs. Either way, it is a good time for your online shop to show its human face. A way to achieve that is to create a seasonally relevant story around your product and to offer content and deals in the holiday spirit. And then watch sales figures and your brand recognition rise. How do online sales fare at Easter time? On the whole, the patterns of Easter online sales are less predictable compared to other holidays. This is due to the fact that Easter falls on a different day each year. 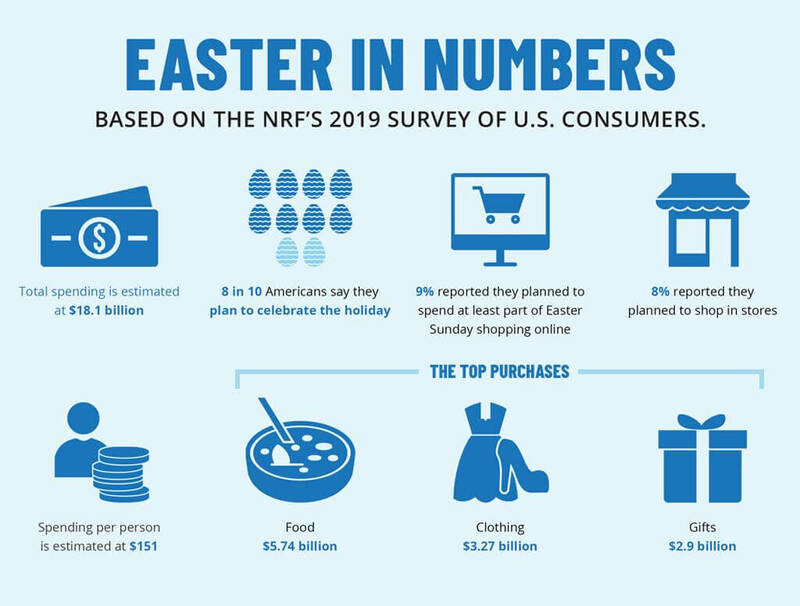 According to shop.org survey, online Easter shoppers plan to spend more than those going to stores. Smartphone and tablet owners are a big part of this group. Still, according to Demandware, most Easter-related searches come from computers. The frequency of searches for Easter-related terms from phones and tablets account for around 8% of searches. Shoppers are more likely to start Easter planning at least one week in advance. This is when they can be more responsive to holiday-related deals. On the basis of information from Yesmail Market Intelligence, in 2014 Easter-themed email campaigns had the highest average open rate (17.9%) one week before Easter. The average open rate dropped to 15% in the week leading up to Easter Sunday. 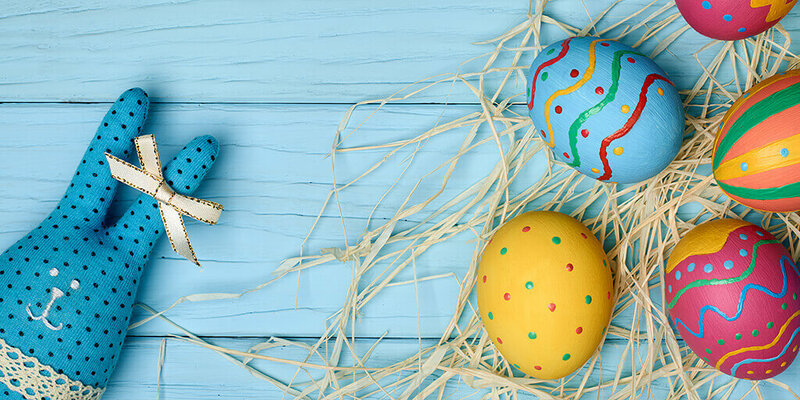 As the holiday gets closer, higher Easter-themed campaign frequency may have caused saturation, thus making promotions appear less relevant to the fatigued consumers. 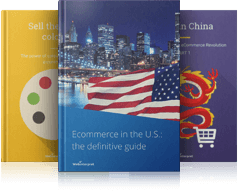 Download our FREE ebook about online sales around Easter and … have a happy Easter! In 2017, ecommerce sales went up by more than 10% in April thanks to the Easter effect, according to British Retail Consortium (BRC) figures. Online sales of non-food products grew by 10.3% during the month, so it’s not only about eggs, be they protein or made of sugar/chocolate. April marked a reversal of the trend of slowing levels of growth for online non-food sales with the strongest annual increase since November. For online retailers who eagerly awaited this year’s late Easter, their patience paid off. Compared to last month’s comparatively low growth, April’s non-food online sales were up by a much healthier 10.3%. Among online best sellers were trendy consumer electronics, toys and health and beauty products. As Easter is springtime, many people also liked to put more focus on home improvements and furniture, making purchases accordingly. 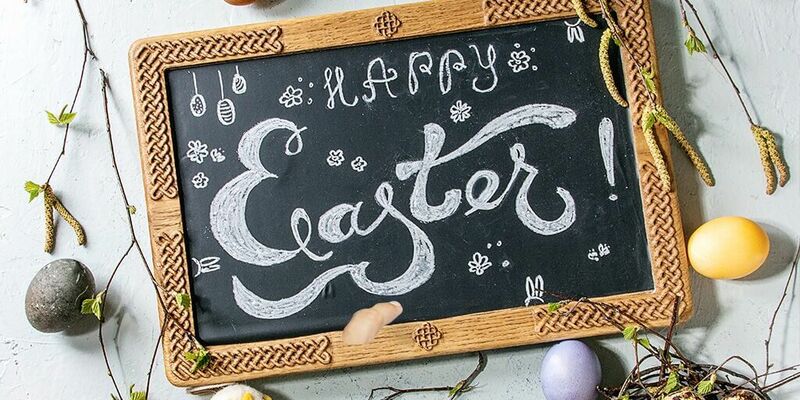 During Easter time, the key to success for many retailers is to effectively combine online and offline sales activities. The top purchases include food ($5.74 billion), clothing ($3.27 billion) and gifts ($2.9 billion). What do Easter buyers shop for? According to IRI Retail Advantage solution, Easter Confectionery sales rise five weeks before Easter Sunday. Copious amounts of chocolate are consumed at Easter time, but there is so much more that is purchased during this period, for instance in the fashion category. This means that you don’t need to be a chocolate factory to enjoy increased sales figures at Easter. So what is purchased at Easter? Consumers are also willing to pay a 17% premium for handmade items. Handmade goods are perceived as having been created with more love compared to mass-produced products. The hand-made element makes the product more attractive, especially at holiday seasons that are associated with your nearest and dearest and positive feelings. 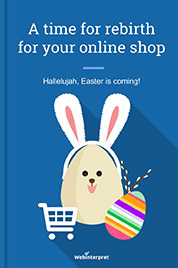 How to prepare your online shop for the Easter season? Americans consume more than 16 million jelly beans on Easter and 90 million chocolate bunnies are produced each year. Households spend USD 14.7 billion in total. The good news is you don’t have to sell chocolate, jelly beans, Easter bunnies, eggs or baskets. All the same, you can impress your customers and attract their attention, serving them a little bit of Easter. How can you do it? For starters, you can redesign your logo to have a seasonal look. You can also run an Easter contest. Check our 10 Easter online sales tips and facts that will ensure that your online business is well prepared for this season. Use Easter motives in your email communication and offers. 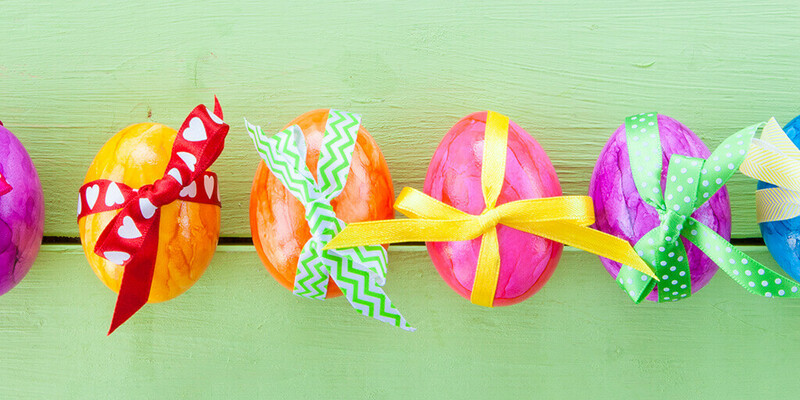 Publish Easter-related content on your blog and social media. Make sure it is interesting or funny enough to have a viral potential. Introduce Easter-themed email promotions one week prior to Easter and follow up with reminders coming to the rescue of last-minute shoppers. Use percent-off offers and create a sense of urgency, e.g. an Easter flash sale live only for a few hours. Create seasonal landing pages: designed in the Easter spirit and referring to your deals and products. These can be chocolates, candies, baskets, clothing, kitchen goods, toys, books or jewellery. Optimise your website and introduce seasonal SEO and keywords. Take care of your Easter emails, e.g. firstly, work on a subject line that will increase the open rate. If you can segment your audience by country, you can customise your images, e.g. the rabbit can be sitting on the Eiffel Tower, the Statue of Liberty or Big Ben. Study seasonal trends and behaviours: for instance, home and general merchandise sites are affected by the biggest inflow of Easter-related searches. Since Easter is associated with spring, new beginnings and resurrection, it may be good for you to announce a new product or to relaunch a popular offer that hasn’t been available for some time. Number 10. Organise an Easter egg hunt by adapting the popular egg-hunt Easter tradition. To attract more users, think of the type of eggs you’ll hide on your website and what prize you can offer when they’re found. You can place pictures of eggs on a few deep pages of your site. Make clear what prize to expect, e.g. a discount or % off, e.g. Find an egg and get a special promo code! You can impress your customers and attract their attention, serving them a little bit of Easter. Easter is not only about bunnies, chicks and eggs, but also about challenges affecting online shopping experience. According to a UK eCommerce performance survey by SciVisum, retailer websites suffered performance issues due to the last-minute demand for Easter Egg purchases. Measurements of fourteen retailers took place between 8 am and 11 pm in the period between 6th March and 5th April 2015. The challenges were related to availability and the longer time needed to complete a purchase. A decline in performance across all monitored websites was observed as traffic increased in the run-up to Easter with people searching for eggs. It generally took 12% longer to complete a purchase and sites had to struggle with availability that dropped to 84% in the week prior to Easter. Make sure you deliver your website across multiple devices in a hassle-free way for its visitors. Focus on providing outstanding user experience, especially at times of peak traffic. Don’t make potential buyers wait too long for your page to load. Test the entire customer journey, not simply page by page. 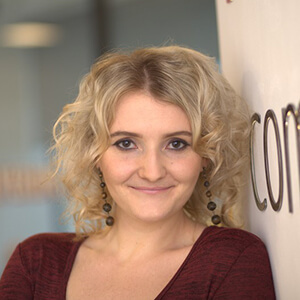 A single improvement may not be enough to improve your conversion rates. Remember to involve all teams in website performance: it’s not only about the technical side, but other factors, e.g. online service delivery and the integrated cross-departmental process. The name Easter comes from the name of the Anglo-Saxon goddess, Eastre. The egg is a symbol of rebirth, fertility, joy, celebration and spring time. The special Easter flower is the white lily, signifying resurrection, purity and virtue. Pysanka is the traditional act of painting eggs. 76% of people first eat a chocolate bunny’s ears. Easter is a busy time for retailers and not only those promoting chocolate eggs. It brings to mind rebirth and spring time so why not instil your online shop with some fresh ideas? 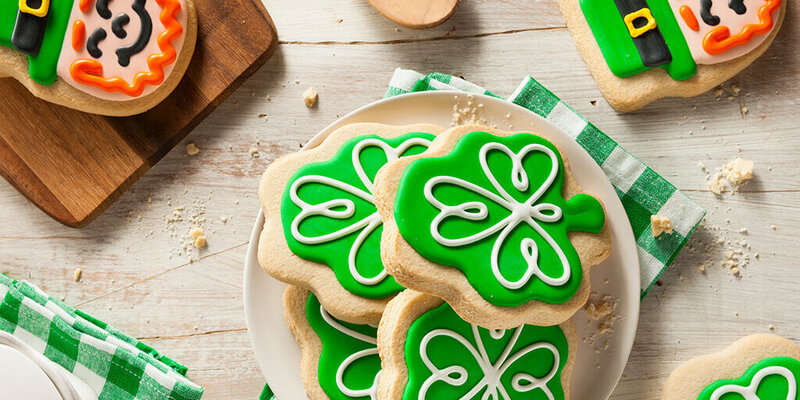 It is yet another opportunity to show that you care about what your customers may celebrate. You can also cut them some slack and let your website visitors hunt for eggs. Remember to make it an enjoyable and user-friendly experience that will close you a sales deal. A little bit of festive spirit and fun can be a great traffic and conversion rate booster as well as your brand builder. Download our FREE ebook and prepare your online store for the Easter season! Easter Marketing Recap – Was it an egg-cellent Easter for retailers?